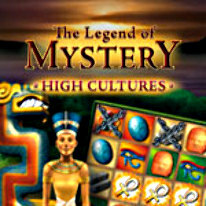 Go on the trail of ancient cultures to locate worthy artifacts for your museum! As the operator and curator of a museum, you must go on the trail of ancient cultures to locate worthy artifacts to fill and display. Using your match-3 skills and ambition to assemble the very best, you'll navigate through over 100 fantastic levels of challenging game play along the way as you pursue treasures to astound and delight your visitors. It may be easy to learn, but challenging to master. -Infinite gameplay with free play mode! -Easy to learn, challenging to master!